One of my fave bestselling authors recently released a new heartfelt modern-day fairy tale novel of first love and soul mates. Eight-year-old Rachel Blum is no stranger to hospitals. She was born with a broken heart literally (tricuspid atresia). Andy Landis is also eight years old and sent to the ER with a broken arm. The two children meet in the waiting room, introduce themselves and share a story. After Andy is taken back to the doctor, the new friends think they will never see each other again. Fast forward throughout the years and Rachel and Andy cross paths often thanks to fate. A big factor in whether I like a novel is how I feel about the characters. Are they likable? Are they realistic? Is their intelligence level age-appropriate? Are their decisions logical? Yes, I question all of these things and more when reading about main characters. In Who Do You Love, Andy was very ambitious. He set goals and reached them. He took control of his future and genuinely put effort in making a better life for himself. I could totally relate to Rachel. She grew up with a heart deformity causing her to be really sick, fragile, unable to attend events or birthday celebrations and missing a lot of school. As a migraineur, I was the same way throughout elementary, middle-, high-school and college. I miss events, work and holidays still today due to being really sick on the most inconvenient of days. The sad part is, like Rachel states, is I'd never known anything different. And this is why I enjoyed reading about Rachel and her life with Andy. Who Do You Love is one of this year's greatest stories of love, fate and happy endings. Rachel and Andy are two memorable characters that I would love to see on the big screen. 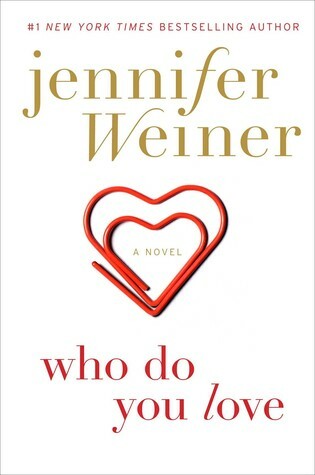 If I had to compare, this novel reminds me of Nicholas Sparks (but with a happy ending) and Rainbow Rowell with a witty, whimsical Jennifer Weiner signature twist. Who Do You Love is simply a very good novel that I recommend bookhearts read. 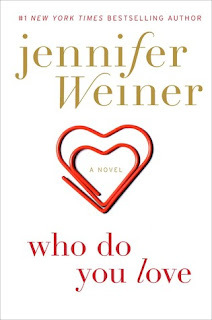 Watch the video below of author Jennifer Weiner discussing Who Do You Love. Sounds like a beautiful story...I'd love to read.